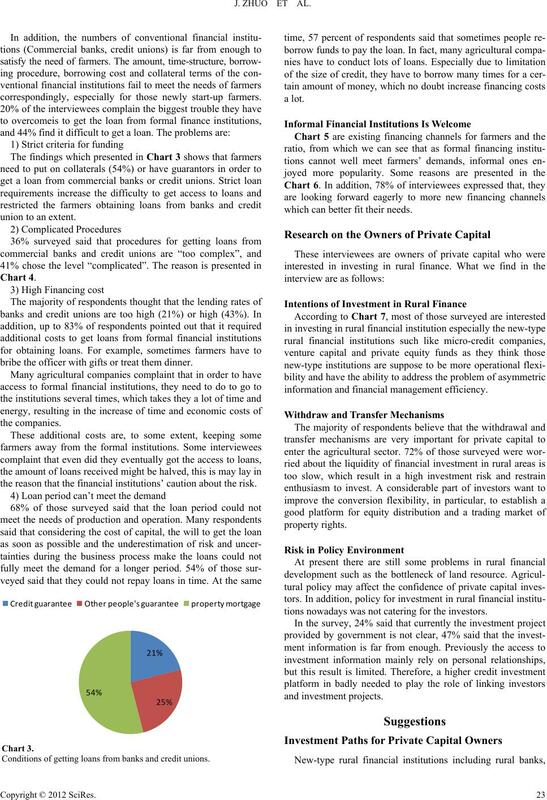 vest rural financial institution, as well as investment risk evaluation and management may meet measures. 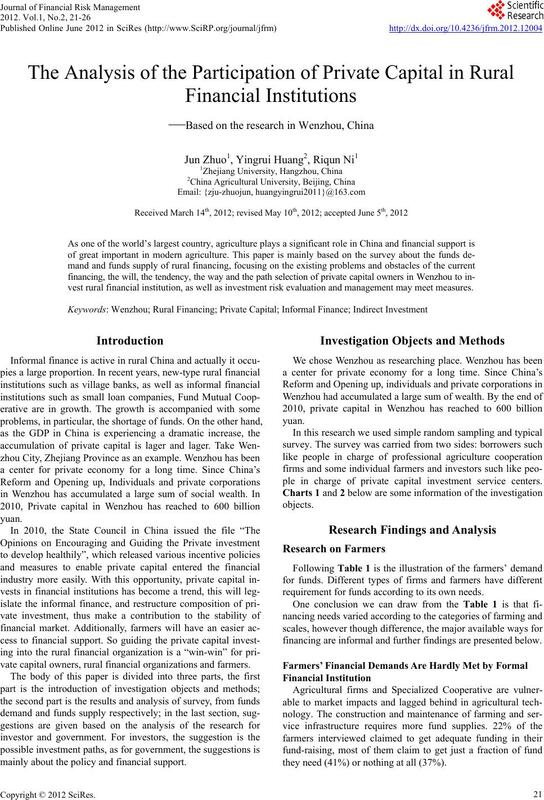 vate capital owners, rural financial organizations and farmers. mainly about the policy and financial support. ple in charge of private capital investment service centers. requirement for funds according to its own needs. financing are informal and further findings are presented below. they need (41%) or nothing at all (37%). Investigation objects-o w n ers of private capital. 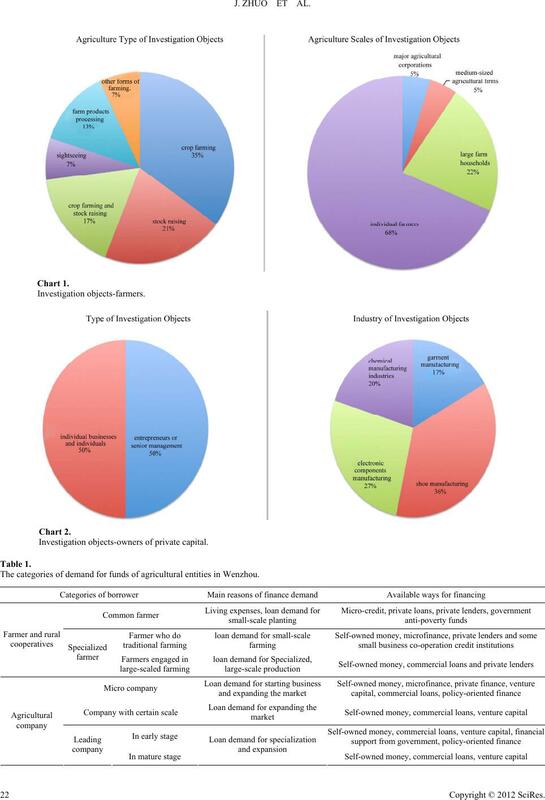 The categories of demand for funds of agricultural entities in Wenzhou. correspondingly, especially for those newly start-up farmers. bribe the officer with gifts or treat them dinner. the reason that the financial institutio n s ’ c a u t i o n a b o u t t h e risk . Conditions of getting loans from banks a nd c r e d i t un i o n s .
which can better fit their needs. information and f i n a n c i a l management efficiency. tions nowadays was not catering for the investors. Reasons of the difficulty for getting loans form formal institutions. Financing channels for fa r mers. 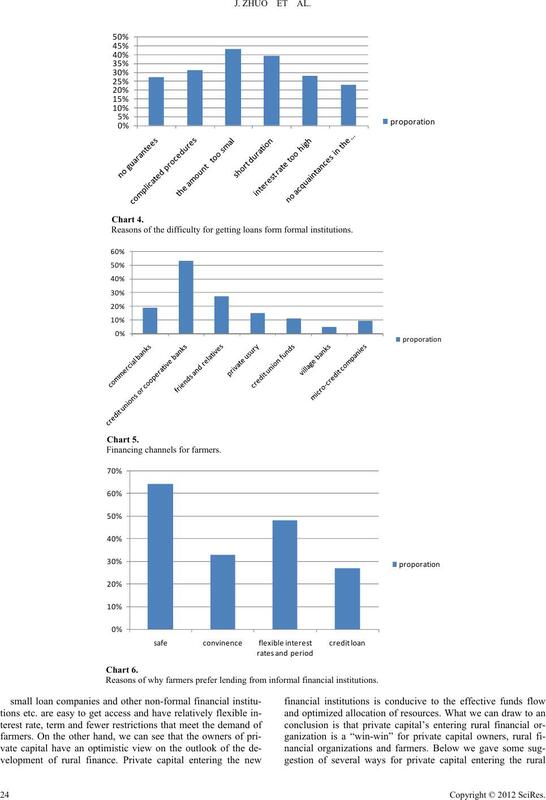 Reasons of why farmers prefer lending from informal financial institutions. 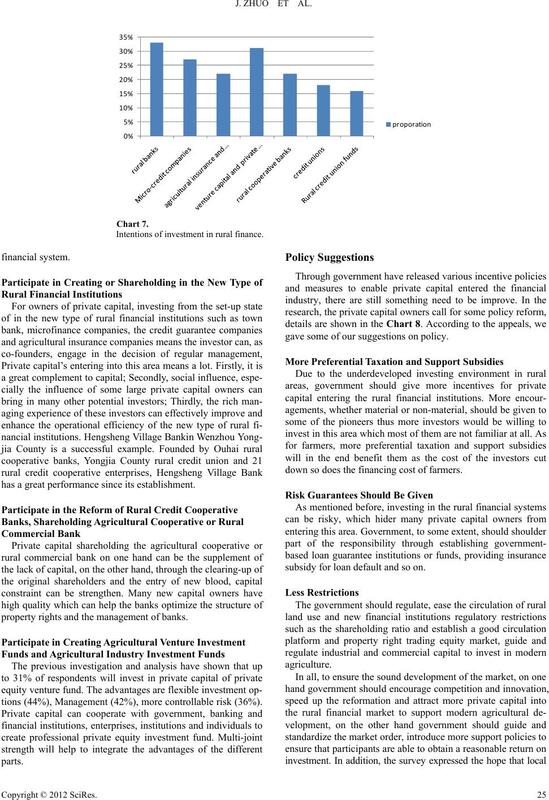 Intentions of investme nt in rural finance. has a great performance since its establishment. property rights and the management of banks. tions (44%), Management (42%), more controllable risk (36%). gave some of our suggestions on policy. down so does the financing cost of farmers. subsidy for loan default and so on. Appeals for reform of rural financial institutions. finance in China. 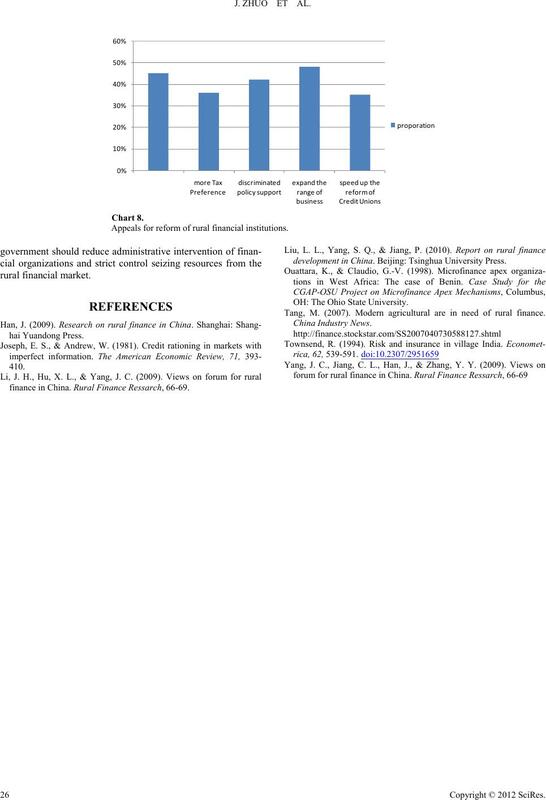 Rural Finance Ressarch, 66-69.
development in China. Beijing: Tsinghua U n i ve rsity Press. OH: The Ohio State University. Tang, M. (2007). Modern agricultural are in need of rural finance.